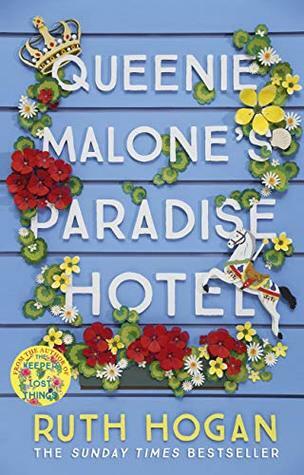 From the bestselling author of The Keeper of Lost Things and The Wisdom of Sally Red Shoes - a novel of mothers and daughters, families and secrets and the astonishing power of friendship. But Tilly's childhood was shattered when her mother sent her away from the only home she'd ever loved to boarding school with little explanation and no warning. Now, Tilda has grown into an independent woman still damaged by her mother's unaccountable cruelty. Wary of people, her only friend is her dog, Eli. But when her mother dies, Tilda goes back to Brighton and with the help of her beloved Queenie sets about unraveling the mystery of her exile from The Paradise Hotel and discovers that her mother was not the woman she thought she knew at all ... Mothers and daughters ... their story can be complicated ... it can also turn out to have a happy ending. This was a beautifully written story that centres around family relationships, mental health and the consequences of not being truthful to those you love. For me it didn't quite have the emotional impact as The Wisdom of Sally Red Shoes, but still made for an engaging, enthralling and thought provoking read. I love the fact that we got to see the story from both a young perspective and that of an adult, and how times changes and perceptions can deceive you. Young Tilly is the perfect example of a Daddy's girl and is devastated when her father goes away and is left with a mother who she thinks doesn't care about her, and that belief is reinforced when she is sent away to school. When Tilly grows up she still holds on to that resentment and never has a close relationship with her mother, so when she returns following the death of her mother she is confronted with a mix of emotions as she talks to neighbours, and starts to look back at things with the help of the diaries of her mother that she finds. Tilda shares many traits with her father, and that of her mother too and it's only when she starts to see her mother as a person, and not the ogre that she remembers, that she starts to really find out who she was, and that helps clear the picture of just who Tilda is as well. There's a wonderful cast of characters that the author creates, and the little details in descriptions really help things ping to life and makes the world of Tilda and the way her mind works feel even more real. The struggles she goes through when confronted with a past different to how she saw it is such a fascinating one and makes you warm to her as a character even more. Highly recommended. My thanks to the author, publisher and netgalley for the advanced reading copy in return for a fair and honest review.